Xara Photo & Graphic Designer 10 combines universal image editing with high-performance graphic tools. The program also includes a wide range of design templates. 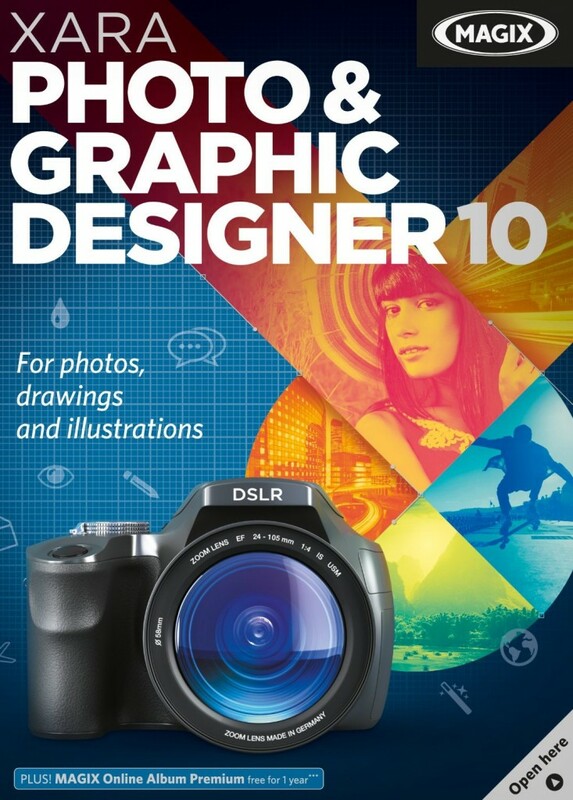 It’s ideal for hobby photographers and anyone who likes to get creative. Whether for quick image optimization or finely detailed photo retouching. This program offers intuitive editing tools that can help everyone get the best out of their photos. With the world’s fastest vector graphic engine taken directly from the professional software Xara Designer Pro impressive graphics are only a few clicks away. Create amazing photo collages by combining photos and graphics. Self-designed graphics are perfect for adding a personal touch to letters, greetings cards and much more. The program’s unique blend of photo editing and graphic design opens up a whole new world of creative possibilities. High-performance image and graphic editing combined in an easy-to-use interface. Draw and paint real vector graphics on your PC. Scale and edit graphics without jeopardizing quality. Graphic design becomes a real pleasure. Transform snapshots into stunning photographs: From fast picture enhancement to detailed retouching you will find everything you need. Optimization of lighting and shadows. Online catalog for additional content. ← What Web Design Software can I use that is compatible with both Mac and Windows?